I provide perspective, support and a personalized approach to your current career needs. 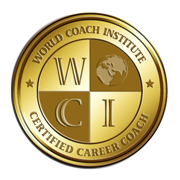 I am a Certified Career Coach and I have a master’s degree in industrial and organizational psychology and a bachelor’s degree in psychology. I have worked in human resources and as an executive recruiter, matchmaking driven professionals with top companies. I have recently shifted away from the staffing industry so I can focus on providing individualized support to people searching for first jobs, new jobs, and better jobs. I’m also passionate about helping foreign nationals, college students and people with gaps in employment to set achievable goals and formulate action plans that place their desired future within reach. With my cross-expertise in coaching, psychology, and business, I can guide you to fully realize your potential in today’s job market. I provide perspective, support and a personalized approach to your current career needs. Hi, I’m Natalie – outdoor enthusiast, documentary junkie, and probably the biggest chocoholic you’ve ever met. Originally from Miami, Florida, my own international career journey started after college. I moved to Ecuador and started working as a business English teacher and academic coordinator. I trained new teachers from around the world and acted as a liaison between the language school and the multinational corporations we served. As time went on I found myself craving real-world tools and a greater understanding of the psychological and business aspects underlying our global interconnectivity. I searched for educational opportunities and moved to Spain to pursue a master’s degree where I could learn more about the structure of work, organizations and personnel management. While my education and experience have given me a unique framework for my vocation, this was not my original plan. Once I returned to the United States, I dove into human resources and executive recruiting, working with small, mid-size and Fortune 500 companies performing both business development and staffing roles. I was working my way up, but I was struggling to see how I was really helping people while I was chasing someone else’s metrics for success. It took years to realize that success is bigger than my job “on paper”. It’s about creating a life that I want to live and that I’m proud of. As Maya Angelou once said, "Success is liking yourself, liking what you do, and liking how you do it.” After I unearthed my values, made career decisions based on those values, and sought out opportunities to learn and perform, I felt like I was thriving again. If you pause and look closely, careers take off when people align their actions with their core purpose. To me, psychology and business form a natural alliance. Throughout my work experience, I have listened to countless professionals tell me why they want to leave their jobs and I’ve also gained an important understanding of what motivates employers to hire. I’m familiar with the barriers that hold many job seekers back from transitioning into and within corporate America smoothly. Now I get to share what I’ve learned personally and professionally. I have the great privilege to work with extraordinary men and women who need help finding their bearings, focusing their energy on areas where they can shine, and achieving cherished goals. I know I can help you. Contact me today to set up a free introductory call. Trained and continue to train at World Coach Institute.